LITCHFIELD PARK – When you think roses, you might think California. But last year, Arizona exported about 75 percent of the rosebushes in the U.S., local rose grower Tyler Francis said. People may think roses can’t grow in the desert heat, but local horticulturist Noelle Johnson has dedicated her work to finding the variations that thrive here. When Johnson moved to Arizona from California, she said she killed nearly 40 rose plants. That’s what inspired her to become a horticulturist. Johnson grows a wide variety of flowers, fruits and vegetables in her backyard and keeps a special section just for her own rose plants and test roses. Growers around the world test their variations in Arizona, and the climate here allows the roses to bloom for nearly eight out of 12 months. “You can have roses in the spring, fall and even blooming at Christmas,” Johnson said. 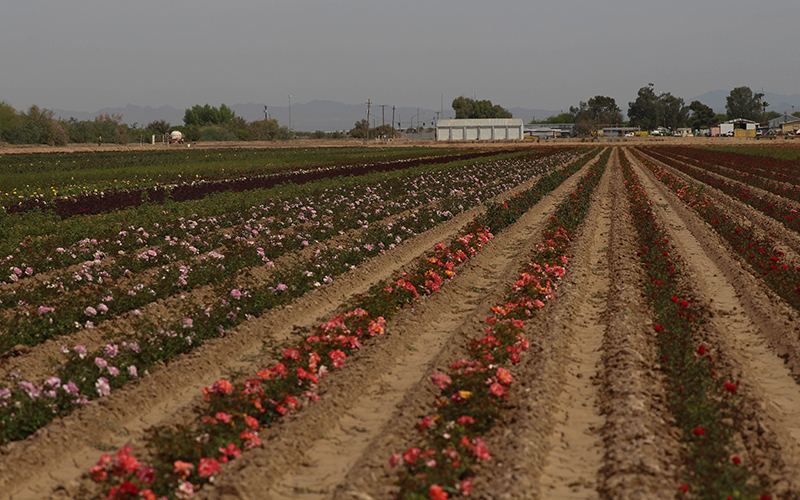 Litchfield Park-based Francis Roses is one of four commercial rose growers in the state. In December, Francis will ship out about five million bushes that range from the traditional “Mr. Johnson” red roses and David Austin English roses, to striped, colorful blooms. 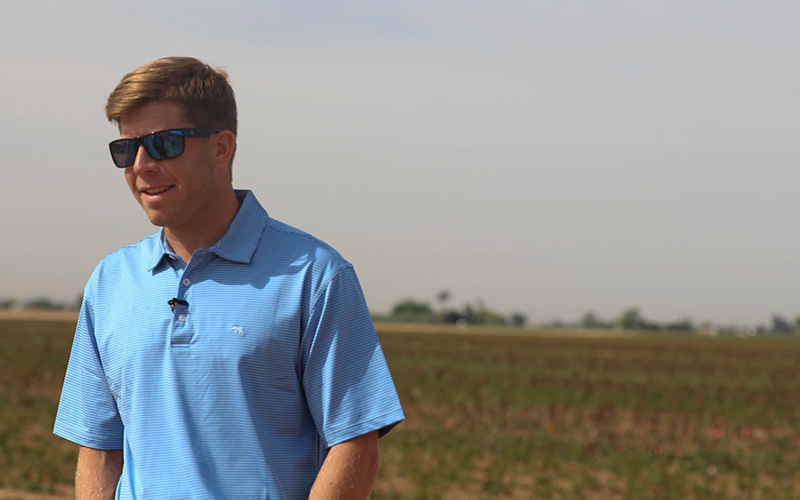 Francis’ family has been growing roses on its 2,000-acre farm in the Phoenix area for about 20 years. They sell to wholesalers and nurseries. These rosebushes might end up in your backyard, but they likely won’t be cut to create your flower bouquets. Most stem-cut roses are imported from overseas, and they might last up to two weeks with proper care. 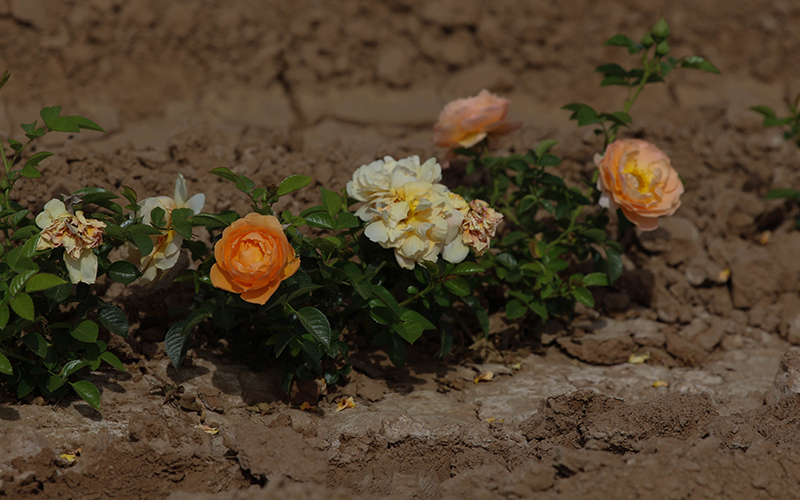 But local growers said planting a rosebush in Arizona will allow for blooms almost year round. Francis said the rosebushes are a $500 million industry in the U.S. And roses make up a significant part of Arizona’s agricultural industry, he said. In fact, one of the largest roses bushes in the world is in Tombstone and covers about 9,000 square feet, according to NPR.